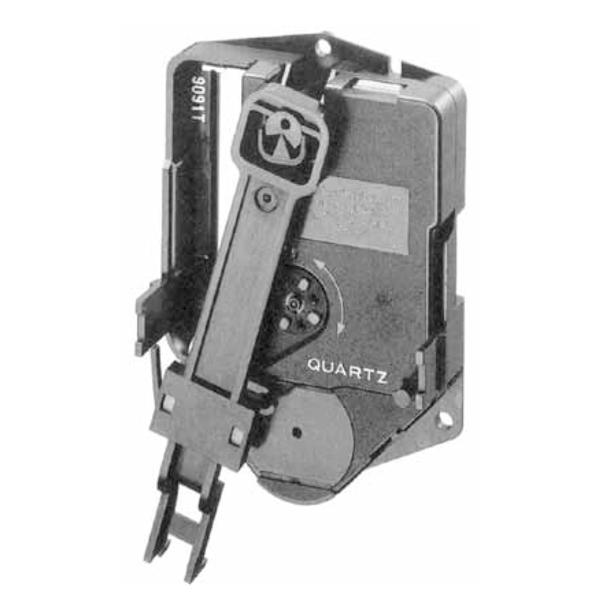 Use alone or insert any mini sized quartz movement. Can Be Used as A Dual Pendulum Movement. 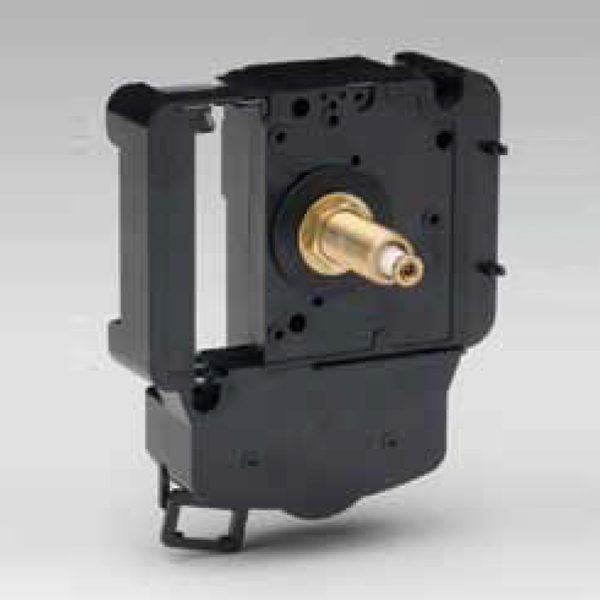 Movement will drive up to 17-3/4″ clock hands. Movement will drive up to a 200-gram (7 ounce) pendulum. 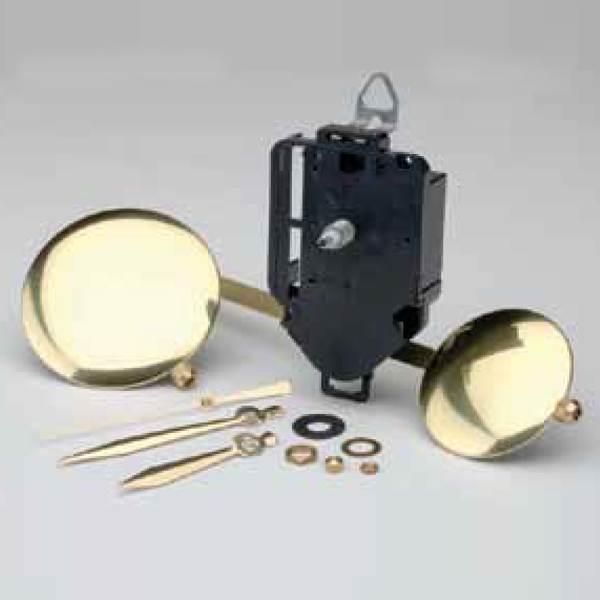 Use With Any Of Our Mini Quartz Size Movements Inside. 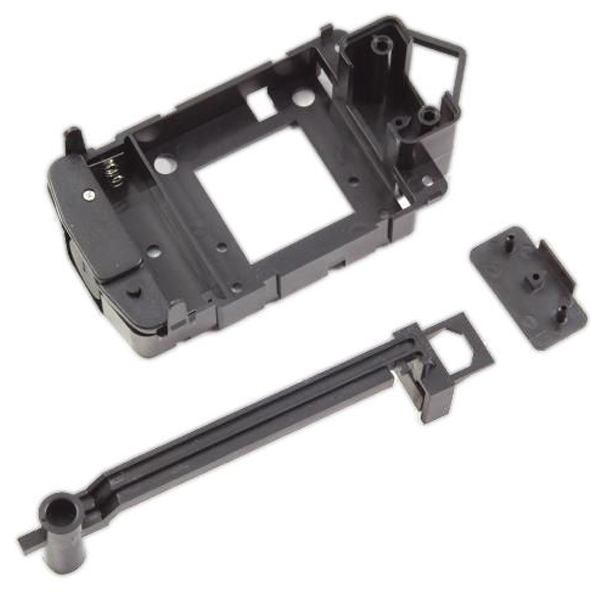 The movement is approximately 5 5/8″ L x 2 5/16″ W x 1 1/4″ D.
The movement runs on one a fresh “AA” battery, not included. 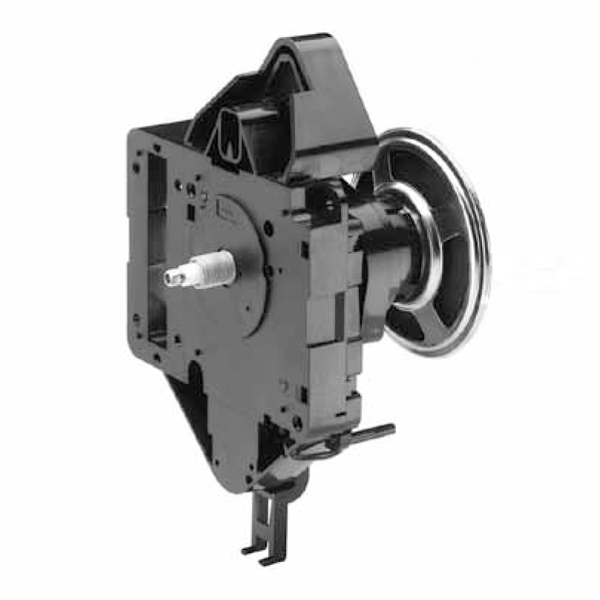 Please remember that when adding any mini quartz movement to the inside of this heavy duty pendulum drive, that you will need to add 1/16″ to your shaft length calculations, as the front wall thickness of this part is apx. 1/16″ thick.